Federal Industry Minister Christian Paradis dealt what appears to be the final blow Tuesday to BCE Inc.'s faltering bid for Astral Media Inc., saying Ottawa doesn't "have any intention to intervene" in the proposed bid. BCE Inc. has petitioned the federal cabinet to tell broadcast regulators to re-evaluate the controversial $3.38-billion offer, which the Canadian Radio-television and Telecommunications Commission rejected on Oct. 18. "At this point, there is an appeal possible according to the law, but we don't have any intention to intervene," the minister said following an address to an industry conference here. The blunt comments appear to all but rule out a merger of Astral with Bell Media, the entertainment unit for BCE, the country's largest telecommunications and media company. The Globe and Mail's paywall is here. Can it succeed? Does it deserve to? "As of now, anyone who doesn’t subscribe to the Globe is entitled to just 10 articles a month before the website prevents them from reading more, though articles accessed through links on social media are still free and unmetered. A digital subscription is $19.99 for a month, and free for existing print subscribers." U.S. newspaper circulation was almost unchanged in the six months that ended in September as publications continued to make gains in digital editions, according to data from a media industry group. Average daily circulation for print and digital editions combined fell 0.2 percent for the 613 newspapers included in the semiannual study by the Audit Bureau of Circulations. Sunday circulation for the 528 newspapers in Tuesday's report increased 0.6 percent. The Wall Street Journal kept its position as the No. 1 newspaper. Its average circulation grew 9.4 percent to 2.3 million, largely because more readers are paying to read content on its website and mobile devices. Digital circulation grew about 257,000 from a year ago, more than making up for a loss of nearly 60,000 in print. USA Today was second at 1.7 million, down 3.9 percent. Pearson PLC will merge its Penguin Books division with Random House, which is owned by German media company Bertelsmann, in an all-share deal that will create the world’s largest publisher of consumer books. The planned joint venture brings together classic and bestselling names. As well as publishing books from authors such as John Grisham, Random House scored a major hit this year with “Fifty Shades of Grey.” Penguin has a strong backlist, including George Orwell, Jack Kerouac and John Le Carre. The two companies said Monday that Bertelsmann would own a controlling 53% share of the joint venture, which will be known as Penguin Random House. Bertelsmann would keep full control of Verlagsgruppe Random House, its trade publishing business in Germany, and Pearson would retain the right to use the Penguin brand in education. "In a significant transition for our newspaper and our popular website, the Toronto Star will launch a paid-subscription program in 2013 for full access to all the stories and features on our website, thestar.com." Star publisher John Cruikshank announced. "This move will provide a new source of revenue for the Star that will help support our ability to provide readers of both our print and online editions with the best and most comprehensive package of news and information in Canada," he said in the newspaper. "Under the plan, most print subscribers to the Toronto Star will receive free full access to thestar.com’s content, wherever and however they want. "Complete details of the program, including how to register and how much we will charge, will be released in the coming months." A journalist arrested in Greece for publishing the names of more than 2,000 Greeks with large Swiss bank accounts will appear in court on Monday on charges of violating privacy laws. Costas Vaxevanis was arrested on Sunday after publishing the infamous "Lagarde List," named after International Monetary Fund chief Christine Lagarde, in his magazine Hot Doc in its Saturday edition. In her role as France's finance minister before joining the IMF, Lagarde in 2010 reportedly gave her Greek counterpart a CD with the names of Greek citizens with large deposits in an HSBC branch in Geneva. Last week two former finance ministers were pressed to explain to a parliamentary committee why the government appeared to have taken no action to investigate whether those individuals were tax evaders. Vaxevanis says his arrest is unfair. In an act of support, the top selling Ta Nea newspaper also published the "Lagarde List" on Monday. The list does not indicate the exact amount that each of the 2,059 individuals have in Switzerland. It reveals the identity of each deposit and the individual's profession. The newspaper article said some accounts contained as much as 500-million-euros (US$645 million). The New York Times said Sunday night that it had reached a tentative agreement with the Newspaper Guild, setting the stage for a new labor contract after more than 18 months of negotiations. In a message to the staff, the executive editor, Jill Abramson, said the paper and the union had agreed “in concept” on a new five-year contract. She said that at the request of the mediator, Martin Scheinman, no further details would be forthcoming because the agreement still needs to be put in writing. The Giants' shutout of the Detroit Tigers drew a record-low television rating for Game 2 of the World Series. San Francisco's 2-0 win Thursday night on Fox earned a 7.8 fast national rating and 12 share, down 12 per cent from last year's St. Louis Cardinals-Texas Rangers matchup. The previous low was an 8.1 for the 2008 Philadelphia Phillies-Tampa Bay Rays series. Fox said Friday the rating was up 3 per cent from the Giants' rout in Game 1 on Wednesday. The "Thursday Night Football" Buccaneers-Vikings game on NFL Network went up against the World Series for the first time and had 5.2 million viewers, not including fans in the Tampa and Minneapolis areas who watched simulcasts on local channels. That's down from a season average of 7.1 million. The World Series was watched by 12.3 million people on Fox, which is available in about 60 per cent more homes than NFL Network. Ratings represent the percentage of all American homes with televisions tuned to a program. Shares represent the percentage of all homes with TVs in use at the time. The Giants' shutout of the Detroit Tigers drew a record-low television rating for Game 2 of the World Series. San Francisco's 2-0 win Thursday night on Fox earned a 7.8 fast national rating and 12 share, down 12 per cent from last year's St. Louis Cardinals-Texas Rangers matchup. The previous low was an 8.1 for the 2008 Philadelphia Phillies-Tampa Bay Rays series. Fox said Friday the rating was up 3 per cent from the Giants' rout in Game 1 on Wednesday. The "Thursday Night Football" Buccaneers-Vikings game on NFL Network went up against the World Series for the first time and had 5.2 million viewers, not including fans in the Tampa and Minneapolis areas who watched simulcasts on local channels. That's down from a season average of 7.1 million. The World Series was watched by 12.3 million people on Fox, which is available in about 60 per cent more homes than NFL Network. Ratings represent the percentage of all American homes with televisions tuned to a program. Shares represent the percentage of all homes with TVs in use at the time. Press Freedom: What's happening in Turkey? 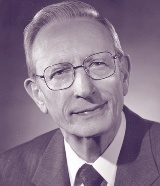 Veteran journalist and author William (Bill) Stevenson. has published a memoir Past to Present: A Reporter’s Story of War, Spies, People, and Politics. 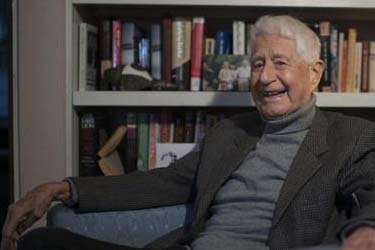 Stevenson, now in his 80s, worked for the Toronto Star and CBC and is the author of a number of books, including the very successful 90 Minutes at Entebbe, an account of the spectacular Israeli raid to rescue hostages held aboard an airliner at the airport in Entebbe, Uganda., Stevenson is married to Monika Jensen, a former producer at 60 Minutes and at CTV's W5. The Toronto Star's Oakland Ross, a globetrotting newsman himself, has written a review. The passing of the legendary Lincoln Alexander (Progressive Conservative) this week has brought up memory reels and this one is a pip. It records Mr. Alexander's upstart win in Hamilton West against the Liberal candidate Thomas Beckett by a slim margin. Fun to watch. Penetrating questions. The federal broadcast regulator is forcing BCE Inc. to go back to the drawing board on its media strategy in Quebec. Astral Media Inc. was considered the linchpin in BCE’s battle for the province against rival Quebecor Inc. and the remaining leg in its larger ambition to create a telecom and media powerhouse of truly national scope. After betting on a series of blockbuster acquisitions in recent years, including broadcaster CTV and sports giant Maple Leaf Sports and Entertainment Ltd., cracking the French-language market was considered the next natural step in BCE’s quest to provide a pan-Canadian platform for its bounty of content and give advertisers the ability to buy nationally. Industry sources report that Jack McGaw, long-time CTV personality, has died. McGaw has been retired for some years. One his last projects was developing and hosting "Live it Up," a popular light-hearted consumer show. Jack's photo on the right is from the Michener Awards page which he won in 1973 for "Hear no evil, see no evil, speak no evil," an hour long television program that dealt with the invasion of privacy through the use of 'bugging' devices and the attempts by Parliament to control them. Better run out and buy that iPad if you want to continue reading the "printed" press! And The Guardian is "seriously" thinking about it. 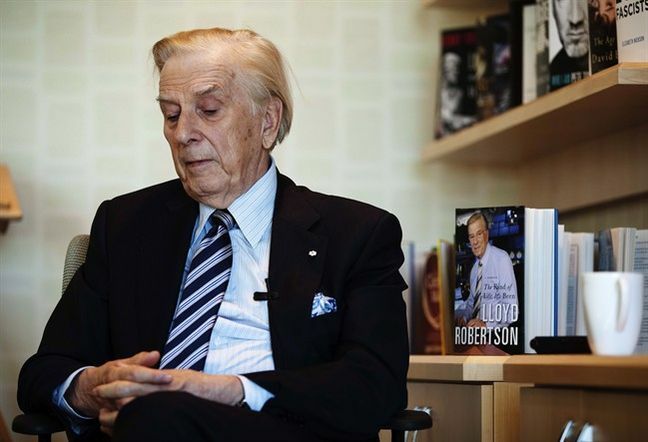 A poignant interview with Lloyd Robertson by Cassandra Szklarski of The Canadian Press. The photo is by Michelle Siu. Excerpt from the story about Lloyd's memoir: "A blow-by-blow of career highlights form a loose framework for 'The Kind of Life It's Been,' which devotes much of its ink to repeated clashes with CBC bosses and union rules that culminated in Robertson's bitter exit to CTV in 1976." Rupert Murdoch survived yet another attempt to oust him as chairman of his News Corp media empire, the second straight year he has defeated critics who say his family wields too much control over the company. Shareholders re-elected Murdoch, his two sons, Lachlan and James, and the rest of the company's returning board members during a 75-minute meeting in Los Angeles. They also voted against proposals that would have separated the chairman and CEO roles held by Murdoch and eliminated News Corp's dual class stock structure, which gives the Murdoch family voting control of the company. Long -time CFTO (now CTV Toronto) crime reporter Jim Junkin has taken a part-time gig at City TV. Junkin retired from the CTV Toronto station in 2010 but friends say he missed the action too much. He will be back on the air three days a week. CityTV is owned by Rogers. Junkin will join some former CTV hands at City like Gord Martineau and Tom Hayes. Citing the need to increase revenue, the Globe will start charging $20 a month for full access to the website, beginning Oct. 22. 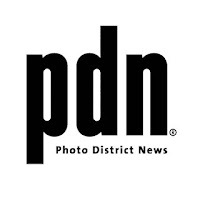 Online access will be free for weekly print subscribers. Weekend subscribers will be able to get the service for an additional $5 a month. Globe publisher Philip Crawley said the growth in popularity of mobile devices has created a sustainable market for online content. People now like to read their paper at home in the morning and have access to it all day long on their smartphones or tablets. The Globe has tried charging for online content online in the past. Several years ago it launched the Globe Insider, putting premium content, including columns by high-profile writers, behind a paywall. The effort was dropped because it suppressed traffic to the website, said Crawley. This time is different. Mobile devices have created a different consumer culture, Crawley said. The storysays that The Star is also considering a oaywall. --Memo to Toronto Star- charge & I'm gone. No ifs, ands, or buts. Household does have 7day paper subscription so I probably wouldn't even know if you did... I am the only one who visits the website. -- Let me get this straight... 50% of my monthly internet bill to access one website? Avoid self-immolation. The CBC, a big, unwieldy organization with multiple platforms, an army of enemies and an internal army of malcontents, doesn’t need any more embarrassments. Like, for instance, threatening legal action against CTV for promoting “Big Bang Night in Canada.” This actually happened the other day. With no Hockey Night in Canada to transfix the nation, CTV has gamely packaged four old episodes of Big Bang Theory (the most-watched show in Canada, week to week, with around four million viewers) for Saturdays. Succumbing to a fit of nitwit outrage, someone at CBC issued a legal “cease” notice to CTV pointing out “confusion” between Big Bang Night in Canada and Hockey Night in Canada. CBC requested CTV cease all promotion and publicity for it. No, seriously, they did. Then they retracted it. 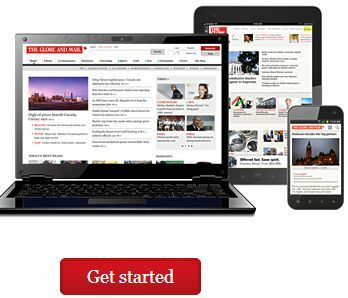 The Globe and Mail will roll out its digital subscription package on Oct. 22, providing free online access to most print subscribers and allowing casual readers access to 10 articles a month on its website. The newspaper announced plans in May to build a metered paywall system, citing the need to boost revenue as the advertising market fluctuates. The Globe’s plan provides unlimited access to both the paper’s website and apps to anyone with a five- or six-day subscription to the printed newspaper. Weekend-only subscribers will be asked to pay $4.99 a month for unlimited access, while those without a subscription will be charged $19.99 a month after a one-month, 99-cent trial. Some components of The Globe’s site will continue to be free to everyone. Nine years after he was hit with prostate cancer, Max Keeping has been diagnosed with colorectal cancer. He undergoes surgery next Monday, an eight-hour operation that will seriously alter the busy retired anchor’s lifestyle. Keeping has already been told by doctors that he’ll be out of commission for a minimum of six months, but he hopes to be out in the community doing his regular charity events and fundraisers in just four. The extensive surgery will mean he’ll be carrying a second ostomy bag, but he’s determined that the after-effects from the disease will not slow him down. “I’ve always looked at life as living today for today. That hasn’t changed,” Keeping, 70, said in an interview Monday at the Ottawa Regional Cancer Foundation office. An upbeat Keeping said he was going public with his diagnosis to increase awareness of colorectal cancer, which according to statistics kills 176 Canadians every week. In fact, Ottawa has one of the highest rates of colorectal cancer in Ontario. Canada-wide, an estimated 23,300 Canadians will be diagnosed with colorectal cancer this year; 9,200 will die from it. The BBC is struggling to contain a crisis sparked by allegations of serial sexual abuse against the late Jimmy Savile, a longtime children’s television host. Dozens of women have come forward to say that Savile, who died in October 2011 at age 84, sexually assaulted them when they were as young as 13. London’s Metropolitan Police, which is leading a national investigation, says it has identified 40 potential victims. The publicly funded national broadcaster is facing questions about its failure to stop Savile’s predatory behaviour, which was an open secret in showbiz circles during his heyday several decades ago. Almost 70 million people watched the first Obama v Romney face-off, the overwhelming majority of them on a television set, or at least a television channel. Meanwhile both sides are engaged in record levels of television advertising, much of it localised. Television companies will benefit most from absorbing the $1 billion the campaigns combined are expected to spend on the presidential race alone. They are already talking in the key swing states of advertising fatigue and the possibility that saturation is dulling the impact. The City of Toronto and Rogers TV will launch a new bi-weekly television show called City Insider later this month, featuring city programs and events. The new show will begin airing 10:30 p.m. on Oct. 16 on Rogers TV, cable 10/63 in Toronto and Scarborough. It will provide a mix of information modeled after the city’s Our Toronto newsletter, which is delivered three times a year to households. City Insider will have on-camera interviews with staff, as well as with residents who involved in city programs. It will also have in-depth features about the city’s rich history using the Toronto Archives. New Variety owner Jay Penske won kudos from his new employees at Variety by promising to take down the paper's online paywall, continue the industry trade's presence in print and invest in its newsroom. In his first address to Variety's approximately 120 employees late Wednesday afternoon, the head of Penske Media Corp., which acquired the venerable Hollywood trade paper on Tuesday for about $25 million, made a largely positive impression on the staff, according to people who attended but requested anonymity because the meeting was private. 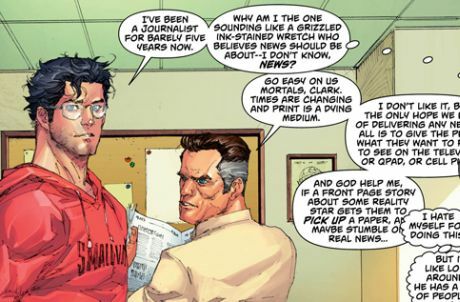 Many Variety reporters and editors have been frustrated that their content is less read online than that of competitors such as the Hollywood Reporter and Penske-owned Deadline, in part because it is only available to paying subscribers.